The aim of the process is an automated preparation of the polyelectrolyte solution, created with the use of powder and emulsion flocculants. Customization: choice of the shape and size of the tank. FILTECH Sp. z o.o. - construction and production. 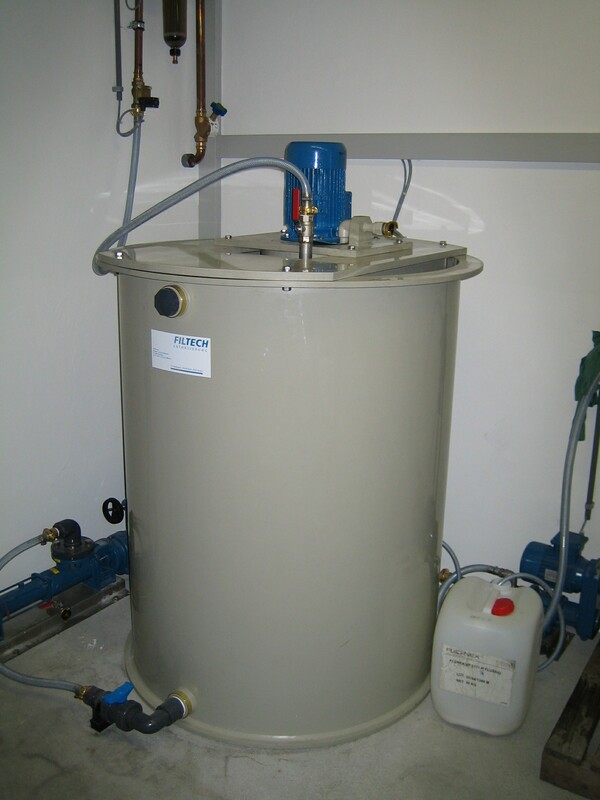 Two-chamber system, adapted for preparation of powdered and emulsion flocculant solutions. With auger dispenser, optionally available vacuum feeder. 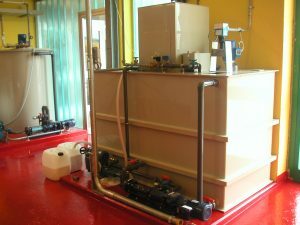 Device supplied with pumps, measurement system and automation. Size of the device adjusted to the needs of the customer. Single chamber system, adapted for preparation of the emulsion flocculant solution. Size of the device adjusted to the needs of the customer.